Should 15 Mile and Ritchie intersection be a four-way stop? Meranda Baguss was killed at the intersection of 15 Mile and Ritchie in September when a pickup ran the stop sign. Photo from gofundme.com. 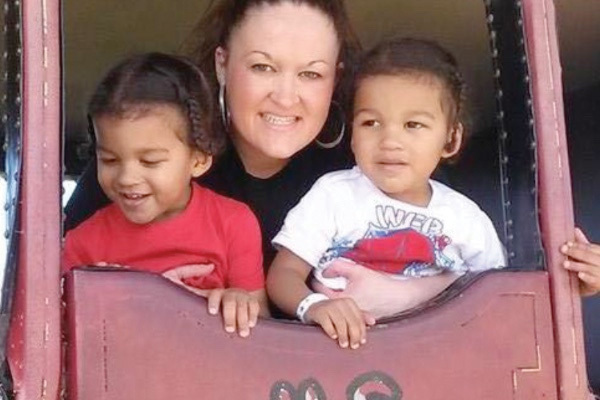 On September 15, 2017, a young Cedar Springs mother, Meranda Baguss, 31, was killed and her twin five-year-old boys critically injured when a pickup truck ran the stop sign at Ritchie and 15 Mile and slammed into her vehicle. Since then, and even before the crash, that intersection has been a topic of complaint among residents. One person related that she recently slowed down as she reached the intersection, and witnessed another pickup truck blow through the stop sign. She was glad she slowed down, especially with having her two young grandchildren in the car. After hearing this, the Post decided to contact the Kent County Road Commission to find out if the intersection qualified for some type of traffic control upgrade. Lamoreaux said that after the accident that occurred at the 15 Mile Road and Ritchie Avenue intersection in September, KCRC conducted a crash site investigation, as is procedure for crashes involving serious injury or fatality. “This investigation included performing an updated traffic study for the intersection. The study included analysis of both traffic volume and crash history to determine if specific warrants were met to modify traffic control. These warrants are defined in the Manual of Uniform Traffic Control Devices (MUTCD) published by the Federal Highway Administration and serve as the criteria that must be fulfilled for road agencies to implement a traffic control modification. Based on the warrant study conducted, neither volume levels nor crash numbers/patterns meet warrant criteria for a traffic control modification,” she said. Lamoreaux said that the most recent traffic counts at this intersection indicate that the volumes are about a quarter of the required volumes. “The accident warrant in the MUTCD states that a 4-way stop may be considered if there have been 5 or more correctable accidents in a 12-month period. Correctable accidents include right-angle, right-turn, and left-turn accidents. Over the last 5-¾ years (2012-September 2017) there have been 3 correctable (angle-type) crashes; this averages to less than 1 per year,” she explained. Lamoreaux added that there are currently “Stop Ahead” signs in each direction on Ritchie Avenue and intersection warning signs in both directions on 15 Mile Road. The Kent County Road Commission will continue to monitor the intersection for changes that would warrant traffic control modification, she said.